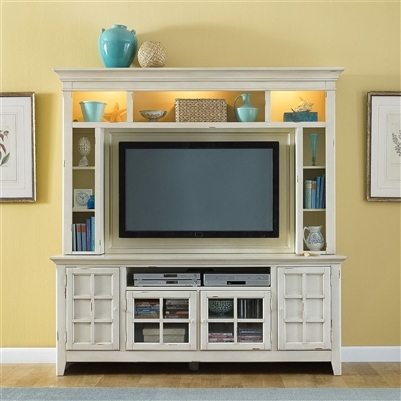 This Entertainment Center from New Generation Collection by Liberty Furniture is made of Select Hardwoods & Birch Veneers, finished in a Vintage White. The Arbor Place Bedroom Collection by Liberty Furniture will draw attention instantly. The gorgeous sleigh bed features amazing Burnished Brass Scrolled Metal Inserts that are carried over to the matching landscape mirror. This unbelievably comfortable Sectional Sofa from Ranger Collection by Catnapper includes a reclining sofa, wedge and reclining love seat. 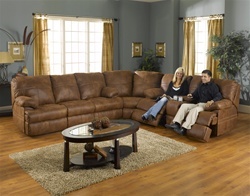 It is upholstered in a faux leather fabric in tanner color featuring attractive sewing details.